Holland KN, Anderson JM, Coffey DM, Holmes BJ, Meyer CG, Royer MA. 2019. A perspective on future tiger shark research. Frontiers in Marine Science. 6: 37. Hutchinson MR, Coffey DM, Holland KN, Itano DG, Kohin S, LeRoy B, Vetter R, Williams A, Wren J. 2019. Movements and habitat use of juvenile silky sharks in the Pacific Ocean inform conservation strategies. Fisheries Research. 210: 131-142. Daly-Engel TS, Koch A, Anderson JM, Cotton CF. 2018. Description of a new deep-water dogfish shark from Hawaii, with comments on the Squalus mitsukurii species complex in the West Pacific. ZooKeys. 798: 135-157. Abecasis D, Steckenreuter A, Reubens J, Aarestrup K, Alós J, Badalamenti F, Bajona L, Boylan P, Deneudt K, Greenberg L, Brevé N, Hernández F, Humphries N, Meyer C, Sims D, Thorstad EB, Walker AM, Whoriskey F, Afonso P. 2018. A review of acoustic telemetry in Europe and the need for a regional aquatic telemetry network. Animal Biotelemetry. 6(1): 12. Papastamatiou YP, Meyer CG, Watanabe YY, Heithaus MR. 2018. Animal-borne video cameras and their use to study shark ecology and conservation. In: Shark Research: Emerging Technologies and Applications for the Field and Laboratory. CRC Press Boca Raton. Meyer CG, Anderson JM, Coffey DM, Hutchinson MR, Royer MA, Holland KN. 2018. Habitat geography around Hawaii’s oceanic islands influences tiger shark (Galeocerdo cuvier) spatial behaviour and shark bite risk at ocean recreation sites. Scientific Reports. 8(1): 4945. Payne NL, Meyer CG, Smith JA, Houghton JD, Barnett A, Holmes BJ, Nakamura I, Papastamatiou YP, Royer MA, Coffey DM, Anderson JM. 2018. Combining abundance and performance data reveals how temperature regulates coastal occurrences and activity of a roaming apex predator. Global Change Biology. 1-10. Pazmiño DA, Maes GE, Green ME, Simpfendorfer CA, Hoyos-Padilla EM, Duffy CJ, Meyer CG, Kerwath SE, Salinas-de-León P, van Herwerden L. 2018. Strong trans-Pacific break and local conservation units in the Galapagos shark (Carcharhinus galapagensis) revealed by genome-wide cytonuclear markers. Heredity. 1. Jeanniard-du-Dot T, Holland K, Schorr GS, Vo D. Motes enhance data recovery from satellite-relayed biologgers and can facilitate collaborative research into marine habitat utilization. Animal Biotelemetry. 5(1): 17. Anderson JM, Clegg TM, Véras LV, Holland KN. 2017. Insight into shark magnetic field perception from empirical observations. Scientific Reports. 7(1): 11042. Stamoulis KA, Friedlander AM, Meyer CG, Fernandez-Silva I, Toonen RJ. 2017. Coral reef grazer-benthos dynamics complicated by invasive algae in a small marine reserve. Scientific Reports. 7: 43819. Bierwagen SL, Price DK, Pack AA, Meyer CG. 2017. Bluespine unicornfish (Naso unicornis) are both natural control agents and mobile vectors for invasive algae in a Hawaiian Marine Reserve. Marine Biology. 164(1): 25. Lennox RJ, Aarestrup K, Cooke SJ, Cowley PD, Deng ZD, Fisk AT, Harcourt RG, Heupel M, Hinch SG, Holland KN, Hussey NE. 2017. Envisioning the future of aquatic animal tracking: technology, science, and application. BioScience. 67(10): 884-96. Meyer CG. 2017. Electronic tags reveal the hidden lives of fishes. Bulletin of Marine Science. 93(2): 301-318. Hammerschlag N, Meyer CG, Grace MS, Kessel ST, Sutton TT, Harvey ES, Paris-Limouzy CB, Kerstetter DW, Cooke SJ. 2017. Shining a light on fish at night: an overview of fish and fisheries in the dark of night, and in deep and polar seas. Bulletin of Marine Science. 93(2): 253-284. Hays GC, Ferreira LC, Sequeira AM, Meekan MG, Duarte CM, Bailey H, Bailleul F, Bowen WD, Caley MJ, Costa DP, Eguíluz VM. 2016. Key questions in marine megafauna movement ecology. Trends in Ecology & Evolution. 31(6): 463-75. Whitney NM, Taquet M, Brill RW, Girard C, Schwieterman GD, Dagorn L, Holland KN. 2016. Swimming depth of dolphinfish (Coryphaena hippurus) associated and unassociated with fish aggregating devices. Fishery Bulletin. 114(4). Capello M, Deneubourg JL, Robert M, Holland KN, Schaefer KM, Dagorn L. 2016. Population assessment of tropical tuna based on their associative behavior around floating objects. Scientific Reports. 6. Block BA, Holbrook CM, Simmons SE, Holland KN, Ault JS, Costa DP, Mate BR, Seitz AC, Arendt MD, Payne JC, Mahmoudi B. 2016. Toward a national animal telemetry network for aquatic observations in the United States. Animal Biotelemetry. 4(1): 1. Coffey DM, Holland KN. 2015. First autonomous recording of in situ dissolved oxygen from free-ranging fish. Animal Biotelemetry. 3(1): 1. Hutchinson MR, Itano DG, Muir JA, Holland KN. 2015. Post-release survival of juvenile silky sharks captured in a tropical tuna purse seine fishery. Marine Ecology Progress Series. 521: 143-154. Hussey NE, Kessel ST, Aarestrup K, Cooke SJ, Cowley PD, Fisk AT, Harcourt RG, Holland KN, Iverson SJ, Kocik JF, Flemming JE. 2015. Aquatic animal telemetry: a panoramic window into the underwater world. Science. 348(6240): 1255642. Capello M, Robert M, Soria M, Potin G, Itano D, Holland K, Deneubourg JL, Dagorn L. 2015. A Methodological Framework to Estimate the Site Fidelity of Tagged Animals Using Passive Acoustic Telemetry. PLoS ONE. 10(8): e0134002. Nakamura I, Meyer CG, Sato K. 2015. Unexpected Positive Buoyancy in Deep Sea Sharks, Hexanchus griseus, and a Echinorhinus cookei. PLoS ONE. 10(6): e0127667. Meyer CG, O’Malley JM, Papastamatiou YP, Dale JJ, Hutchinson MR, Anderson JM, Royer MA, Holland KN. 2014. Growth and maximum size of tiger sharks (Galeocerdo cuvier) in Hawaii. PLoS ONE. 9(1): e84799. Dale JJ, Drazen JC, Holland KN. 2013. Stingray life history trade-offs associated with nursery habitat use inferred from a bioenergetics model. Marine Biology. 160(12): 3181-3192. Dagorn L, Holland KN, Restrepo V, Moreno G. 2013. Is it good or bad to fish with FADs? What are the real impacts of the use of drifting FADs on pelagic marine ecosystems?. Fish and Fisheries. 14(3): 391-415. Papastamatiou YP, Meyer CG, Carvalho F, Dale JJ, Hutchinson MR, Holland KN. 2013. Telemetry and random-walk models reveal complex patterns of partial migration in a large marine predator. Ecology. 94(11): 2595-2606. Papastamatiou YP, Meyer CG, Carvalho C, Dale JJ, Hutchinson MR, Holland KN. 2013. Partial migration in tiger sharks. Bulletin of the Ecological Society of America. 94(3): 250-251. Stehfest KM, Patterson TA, Dagorn L, Holland KN, Itano D, Semmens JM. 2013. Network analysis of acoustic tracking data reveals the structure and stability of fish aggregations in the ocean. Animal Behaviour. 85(4): 839-848. Whitney NM, Pyle RL, Holland KN, Barcz JT. 2012. Movements, reproductive seasonality, and fisheries interactions in the whitetip reef shark (Triaenodon obesus) from community-contributed photographs. Environmental Biology of Fishes. 93(1): 121-136. Daly-Engel TS, Seraphin KD, Holland KN, Coffey JP, Nance HA, Toonen RJ, Bowen BW. 2012. Global phylogeography with mixed-marker analysis reveals male-mediated dispersal in the endangered scalloped hammerhead shark (Sphyrna lewini). PLoS ONE: 7(1): e29986. Whitney NM, Robbins WD, Schultz JK, Bowen BW, Holland KN. 2012. Oceanic dispersal in a sedentary reef shark (Triaenodon obesus): genetic evidence for extensive connectivity without a pelagic larval stage. Journal of Biogeography. 39(6): 1144-1156. Meyer CG, Holland KN. 2012. Autonomous measurement of ingestion and digestion processes in free swimming sharks. Journal of Experimental Biology. 215: 3681-3684. Dale JJ, Holland KN. 2012. Age, growth and maturity of the brown stingray (Dasyatis lata) around Oahu, Hawai’i. Marine and Freshwater Research. 63(6): 475-484. Iosilevskii G, Papastamatiou YP, Meyer CG, Holland KN. 2012. Energetics of the yo-yo dives of predatory sharks. Journal of Theoretical Biology. 294: 172-181. Hutchinson M, Wang JH, Swimmer Y, Holland K, Kohin S, Dewar H, Wraith J, Vetter R, Heberer C, Martinez J. 2012. The effects of a lanthanide metal alloy on shark catch rates. Fisheries Research. 131: 45-51. Papastamatiou YP, Cartamil DP, Lowe CG, Meyer CG, Wetherbee, BM, Holland KN. 2011. Scales of orientation, directed walks, and movement path structure in sharks. Journal of Animal Ecology. 80: 864-874. Nakamura I, Watanabe YY, Papastamatiou YP, Sato K, Meyer CG. 2011. Yo-yo vertical movements suggest a foraging strategy for tiger sharks Galeocerdo cuvier. Marine Ecology Progress Series. 424: 237–246. Dale JJ, Stankus AM, Burns MS, Meyer CG. 2011. The Shark Assemblage at French Frigate Shoals Atoll, Hawai’i: Species Composition, Abundance and Habitat Use. PLoS ONE 6(2): e16962. Dale JJ, Wallsgrove NJ, Popp BN, Holland KN. 2011. Nursery habitat use and foraging ecology of the brown stingray Dasyatis lata determined from stomach contents, bulk and amino acid stable isotopes. Marine Ecology Progress Series. 433: 221-236. Lammers MO, Fisher-Pool PI, Au WWL, Meyer CG, Wong KB, Brainard RE. 2011. Humpback whale (Megaptera novaeangliae) wintering activity in the Northwestern Hawaiian Islands observed acoustically. Marine Ecology Progress Series. 423: 261–268. Dale JJ, Meyer CG, Clark CE. 2011. The ecology of coral reef top predators in the Papahanaumokuakea Marine National Monument. Journal of Marine Biology. 2011: 1-14. Papastamatiou YP, Itano DG, Dale JJ, Meyer CG, Holland KN. 2010. Site fidelity and movements of sharks associated with ocean-farming cages in Hawaii. Marine and Freshwater Research. 61(12): 1366-1375. Meyer CG, Papastamatiou YP, Holland KN. 2010. A multiple instrument approach to quantifying the movement patterns and habitat use of Tiger (Galeocerdo cuvier) and Galapagos sharks (Carcharhinus galapagensis) at French Frigate Shoals, Hawaii. Marine Biology. 157:1857–1868. Gleiss AC., Dale JJ, Holland KN, Wilson RP. 2010. Accelerating estimates of activity-specific metabolic rate in fishes: testing the applicability of acceleration data-loggers. Journal of Experimental Marine Biology and Ecology. 385(1): 85-91. Ong L, Holland K N. 2010. Bioerosion of coral reefs by two Hawaiian parrotfishes: species, size differences and fishery implications. Marine Biology. 157(6): 1313-1323. Dagorn L, Holland KN, Filmalter J. 2010. Are drifting FADs essential for testing the ecological trap hypothesis?. Fisheries Research. 106(1): 60-63. Meyer CG, Papastamatiou YP, Clark TB. 2010. Differential movement patterns and site fidelity among trophic groups of reef fishes in a Hawaiian marine protected area. Marine Biology. 157(7): 1499-1511. Papastamatiou YP, Wetherbee BM, O’Sullivan J, Goodmanlowe GD, Lowe CG. 2010. Foraging ecology of cookiecutter sharks (Isistius brasiliensis) on pelagic fishes in Hawaii, inferred from prey bite wounds. Environmental biology of fishes. 88(4): 361-368. Papastamatiou YP, Friedlander AM, Caselle JE, Lowe CG. 2010. Long-term movement patterns and trophic ecology of blacktip reef sharks (Carcharhinus melanopterus) at Palmyra Atoll. Journal of Experimental Marine Biology and Ecology. 386(1): 94-102. Meyer CG, Dale JJ, Clark CE. 2010. Unusual surface schooling behavior by bullethead parrotfish (Chlorurus sordidus). Coral Reefs. 29(4): 881. Meyer CG, Clark TB, Papastamatiou YP, Whitney NM, Holland KN. 2009. Long-term movement patterns of tiger sharks Galeocerdo cuvier in Hawaii. Marine Ecology Progress Series. 381: 223-235. Afonso P, Fontes J, Holland KN, Santos RS. 2009. Multi-scale patterns of habitat use in a highly mobile reef fish, the white trevally Pseudocaranx dentex, and their implications for marine reserve design. Marine Ecology Progress Series. 381: 273-286. Holland KN, Meyer CG, Dagorn LC. 2009. Inter-animal telemetry: results from first deployment of acoustic ‘business card’ tags. Endangered Species Research. 210: 287-293. Meyer CG, Dale JJ, Papastamatiou YP, Whitney NM, Holland KN. 2009. Seasonal cycles and long-term trends in abundance and species composition of sharks associated with cage diving ecotourism activities in Hawaii. Environmental Conservation. 36(2): 104-111. Leroy B, Itano DG, Usu T, Nicol SJ, Holland KN, Hampton J. 2009. Vertical behavior and the observation of FAD effects on tropical tuna in the warm-pool of the western Pacific Ocean. In: Tagging and Tracking of Marine Animals with Electronic Devices (pp. 161-179). Springer Netherlands. Stokesbury MJ, Dadswell MJ, Holland KN, Jackson GD, Bowen WD, O’Dor RK. 2009, Tracking diadromous fishes at sea: the electronic future using hybrid acoustic and archival tags. In: American Fisheries Society Symposium (Vol. 69, pp. 311-320). Afonso P, Fontes J, Guedes R, Tempera F, Holland KN, Santos RS. 2009. A multi-scale study of red porgy movements and habitat use, and its application to the design of marine reserve networks. In: Tagging and Tracking of Marine Animals with Electronic Devices (pp. 423-443). Springer Netherlands. Rahman MM, Hossain MY, Jo Q, Kim SK, Ohtomi J, Meyer CG. 2009. Ontogenetic shift in dietary preference and low dietary overlap in rohu (Labeo rohita) and common carp (Cyprinus carpio) in semi-intensive polyculture ponds. Ichthyological Research. 56(1): 28. Rahman MM, Meyer CG. Effects of food type on diel behaviours of common carp Cyprinus carpio in simulated aquaculture pond conditions. Journal of Fish Biology. 74(10): 2269-78. Afonso P, Fontes J, Holland KN, Santos RS. 2008. Social status determines behaviour and habitat usage in a temperate parrotfish: implications for marine reserve design. Marine Ecology Progress Series. 359: 215-227. Meyer CG, Holland KN. 2008. Spatial dynamics and substrate impacts of recreational snorkelers and SCUBA divers in Hawaiian Marine Protected Areas. Journal of Coastal Conservation. 12(4): 209-216. Graham BS, Grubbs D, Holland K, Popp BN. 2007. A rapid ontogenetic shift in the diet of juvenile yellowfin tuna from Hawaii. Marine Biology. 150(4): 647-658. Meyer CG, Papastamatiou YP, Holland KN. 2007. Seasonal, diel, and tidal movements of green jobfish (Aprion virescens, Lutjanidae) at remote Hawaiian atolls: implications for marine protected area design. Marine Biology. 151(6): 2133-2143. Meyer CG, Holland KN, Papastamatiou YP. Seasonal and diel movements of giant trevally Caranx ignobilis at remote Hawaiian atolls: implications for the design of marine protected areas. Marine Ecology Progress Series. 333: 13-25. Papastamatiou YP, Meyer CG, Holland KN. 2007. A new acoustic pH transmitter for studying the feeding habits of free-ranging sharks. Aquatic Living Resources. 20(4): 287-290. Holland KN, Grubbs RD. 2007. Fish visitors to seamounts: tunas and billfish at seamounts. In: Seamounts: Ecology, Fisheries & Conservation (pp. 189-201). Blackwell United Kingdom. Whitney NM, Papastamatiou YP, Holland KN, Lowe CG. 2007. Use of an acceleration data logger to measure diel activity patterns in captive whitetip reef sharks, Triaenodon obesus. Aquatic Living Resources. 20(4): 299-305. Dagorn L, Holland KN, Itano DG. 2007. Behavior of yellowfin (Thunnus albacares) and bigeye (T. obesus) tuna in a network of fish aggregating devices (FADs). Marine Biology. 151(2): 595-606. Dagorn L, Pincock D, Girard C, Holland K, Taquet M, Sancho G, Itano D, Aumeeruddy R. 2007. Satellite-linked acoustic receivers to observe behavior of fish in remote areas. Aquatic Living Resources. 20(4): 307-312. Meyer CG, Burgess WC, Papastamatiou YP, Holland KN. 2007. Use of an implanted sound recording device (Bioacoustic Probe) to document the acoustic environment of a blacktip reef shark (Carcharhinus melanopterus). Aquatic Living Resources. 20(4): 291-298. Papastamatiou YP, Purkis SJ, Holland KN. 2007. The response of gastric pH and motility to fasting and feeding in free swimming blacktip reef sharks, Carcharhinus melanopterus. Journal of Experimental Marine Biology and Ecology. 345(2): 129-140. Meyer CG. 2007. The impacts of spear and other recreational fishers on a small permanent Marine Protected Area and adjacent pulse fished area. Fisheries Research. 84(3): 301-307. Daly-Engel TS, Grubbs RD, Bowen BW, Toonen RJ. 2007. Frequency of multiple paternity in an unexploited tropical population of sandbar sharks (Carcharhinus plumbeus). Canadian Journal of Fisheries and Aquatic Sciences. 64(2): 198-204. Whitney NM, Crow GL. 2007. Reproductive biology of the tiger shark (Galeocerdo cuvier) in Hawaii. Marine Biology. 151(1): 63-70. Papastamatiou YP, Wetherbee BM, Lowe CG, Crow GL. 2006. Distribution and diet of four species of carcharhinid shark in the Hawaiian Islands: evidence for resource partitioning and competitive exclusion. Marine Ecology Progress Series. 320: 239-251. Daly-Engel TS, Grubbs RD, Holland KN, Toonen RJ, Bowen BW. 2006. Assessment of multiple paternity in single litters from three species of carcharhinid sharks in Hawaii. Environmental Biology of Fishes. 76(2-4): 419-424. Dagorn L, Holland KN, Hallier JP, Taquet M, Moreno G, Sancho G, Itano DG, Aumeeruddy R, Girard C, Million J, Fonteneau A. 2006. Deep diving behavior observed in yellowfin tuna (Thunnus albacares). Aquatic Living Resources. 19(1): 85-88. Holland KN, Itano DG, Domeier M. 2006. First successful surgical internal implantation of electronic tags in marlin. Bulletin of Marine Science. 79(3): 871-874. Duncan KM, Holland KN. 2006. Habitat use, growth rates and dispersal patterns of juvenile scalloped hammerhead sharks Sphyrna lewini in a nursery habitat. Marine Ecology Progress Series. 312: 211-221. Lowe CG, Wetherbee BM, Meyer CG. 2006. Using acoustic telemetry monitoring techniques to quantify movement patterns and site fidelity of sharks and giant trevally around French Frigate Shoals and Midway Atoll. Atoll Research Bulletin. 543: 281-303. Duncan KM, Martin AP, Bowen BW, De Couet HG. 2006. Global phylogeography of the scalloped hammerhead shark (Sphyrna lewini). Molecular Ecology. 15(8): 2239-2251. Meyer CG, Holland KN. 2005. Movement patterns, home range size and habitat utilization of the bluespine unicornfish, Naso unicornis (Acanthuridae) in a Hawaiian marine reserve. Environmental biology of fishes. 73(2): 201-210. Meyer CG, Holland KN, Papastamatiou YP. 2005. Sharks can detect changes in the geomagnetic field. Journal of the Royal Society Interface. 2(2): 129-130. Meyer CG, Honebrink RR. 2005. Transintestinal expulsion of surgically implanted dummy transmitters by bluefin trevally—implications for long-term movement studies. Transactions of the American Fisheries Society. 134(3): 602-606. Wetherbee BM, Holland KN, Meyer CG, Lowe CG. 2004. Use of a marine reserve in Kaneohe Bay, Hawaii by the giant trevally, Caranx ignobilis. Fisheries Research. 67(3): 253-263. Cartamil DP, Vaudo JJ, Lowe CG, Wetherbee BM, Holland KN. Diel movement patterns of the Hawaiian stingray, Dasyatis lata: implications for ecological interactions between sympatric elasmobranch species. Marine Biology. 142(5): 841-847. Holland KN. 2003. A perspective on billfish biological research and recommendations for the future. Marine and Freshwater Research. 54(4): 343-347. Adam MS, Sibert J, Itano D, Holland K. 2003 Dynamics of bigeye (Thunnus obesus) and yellowfin (T. albacares) tuna in Hawaii’s pelagic fisheries: analysis of tagging data with a bulk transfer model incorporating size-specific attrition. Fishery Bulletin. 101(2): 215-228. Bush A. 2003. Diet and diel feeding periodicity of juvenile scalloped hammerhead sharks, Sphyrna lewini, in Kāne’ohe Bay, Ō’ahu, Hawai’i. Environmental Biology of Fishes. 67(1): 1-11. Bush A, Holland K. 2002. Food limitation in a nursery area: estimates of daily ration in juvenile scalloped hammerheads, Sphyrna lewini (Griffith and Smith, 1834) in Kāne’ohe Bay, Ō’ahu, Hawai’i. Journal of Experimental Marine Biology and Ecology. 278(2): 157-178. Kajiura SM, Holland KN. 2002. Electroreception in juvenile scalloped hammerhead and sandbar sharks. Journal of Experimental Biology. 205(23): 3609-3621. Lowe CG. 2002. 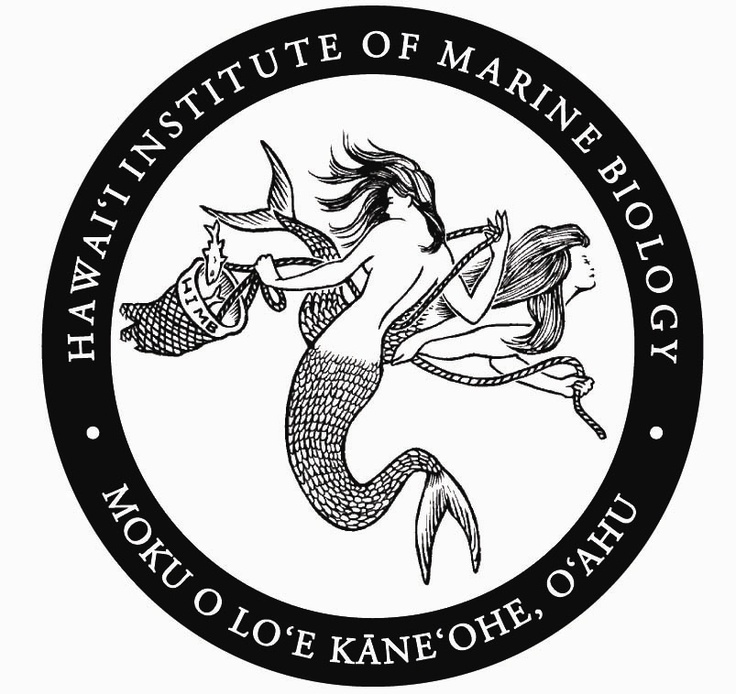 Bioenergetics of free-ranging juvenile scalloped hammerhead sharks (Sphyrna lewini) in Kāne’ohe Bay, Ō’ahu, HI. Journal of Experimental Marine Biology and Ecology. 278(2): 141-156. Meyer CG, Holland KN, Wetherbee BM, Lowe CG. 2001. Diet, resource partitioning and gear vulnerability of Hawaiian jacks captured in fishing tournaments. Fisheries Research. 53(2): 105-113. Meyer CG, Holland KN. 2001. A kayak method for tracking fish in very shallow habitats. In: Electronic tagging and tracking in marine fisheries (pp. 289-296). Springer Netherlands. Holland KN, Kajiura SM, Itano DG, Sibert J. 2001. Tagging techniques can elucidate the biology and exploitation of aggregated pelagic species. American Fisheries Society Symposium. 25: 211-218. Holland KN, Bush A, Meyer CG, Kajiura S, Wetherbee BM, Lowe CG. 2001. Five tags applied to a single species in a single location: the tiger shark experience. In: Electronic Tagging and Tracking in Marine Fisheries (pp. 237-247). Springer Netherlands. Lowe C. 2001. Metabolic rates of juvenile scalloped hammerhead sharks (Sphyrna lewini). Marine Biology. 139(3): 447-453. Meyer CG, Holland KN, Wetherbee BM, Lowe CG. 2000. Movement patterns, habitat utilization, home range size and site fidelity of whitesaddle goatfish, Parupeneus porphyreus, in a marine reserve. Environmental Biology of Fishes. 59(3): 235-242. Sibert J, Holland K, Itano D. 2000. Exchange rates of yellowfin and bigeye tunas and fishery interaction between Cross seamount and near-shore FADs in Hawaii. Aquatic Living Resources. 13(4): 225-232. Itano DG, Holland KN. 2000. Movement and vulnerability of bigeye (Thunnus obesus) and yellowfin tuna (Thunnus albacares) in relation to FADs and natural aggregation points. Aquatic Living Resources. 13(4): 213-223. Holland KN, Wetherbee BM, Lowe CG, Meyer CG. 1999. Movements of tiger sharks (Galeocerdo cuvier) in coastal Hawaiian waters. Marine Biology. 134(4): 665-673. Holland KN, Kleiber P, Kajiura SM. 1999. Different residence times of yellowfin tuna, Thunnus albacares, and bigeye tuna, T. obesus, found in mixed aggregations over a seamount. Fishery Bulletin. 97: 392-395. Lowe CG, Holland KN, Wolcott TG. 1998. A new acoustic tailbeat transmitter for fishes. Fisheries Research. 36(2): 275-283. Wetherbee BM, Crow GL, Lowe CG. Distribution, reproduction and diet of the gray reef shark Carcharhinus amblyrhynchos in Hawaii. Marine Ecology Progress Series. 151: 181-189. Holland KN, Lowe CG, Wetherbee BM. 1996. Movements and dispersal patterns of blue trevally (Caranx melampygus) in a fisheries conservation zone. Fisheries Research. 25(3): 279-292. Lowe C. 1996. Kinematics and critical swimming speed of juvenile scalloped hammerhead sharks. Journal of Experimental Biology. 199(12): 2605-2610. Lowe CG, Wetherbee BM, Crow GL, Tester AL. 1996. Ontogenetic dietary shifts and feeding behavior of the tiger shark, Galeocerdo cuvier, in Hawaiian waters. Environmental Biology of Fishes. 47(2): 203-211. Wetherbee BM, Crow GL, Lowe CG. 1996. Biology of the Galapagos shark, Carcharhinus galapagensis, in Hawai’i. Environmental Biology of Fishes. 45(3): 299-310. Crow GL, Lowe CG, Wetherbee BM. 1996. Shark records from longline fishing programs in Hawai’i with comments on Pacific Ocean distributions. Pacific Science. 50(4): 382-392. Lowe C, Goodman-Lowe G. 1996. Suntanning in hammerhead sharks. Nature. 383(6602): 677. Brill RW, Balazs GH, Holland KN, Chang RK, Sullivan S, George JC. 1995. Daily movements, habitat use, and submergence intervals of normal and tumor-bearing juvenile green turtles (Chelonia mydas L.) within a foraging area in the Hawaiian islands. Journal of Experimental Marine Biology and Ecology. 185(2): 203-218. Holland KN, Sibert JR. 1994. Physiological thermoregulation in bigeye tuna, Thunnus obesus. Environmental Biology of Fishes. 40(3): 319-327. Wetherbee BM, Lowe CG, Crow GL. 1994. A review of shark control in Hawaii with recommendations for future research. Pacific Science. 48(2): 95-115. Holland KN, Peterson JD, Lowe CG, Wetherbee BM. 1993. Movements, distribution and growth rates of the white goatfish Mulloides flavolineatus in a fisheries conservation zone. Bulletin of Marine Science. 52(3): 982-992. Holland KN, Wetherbee BM, Peterson JD, Lowe CG. 1993. Movements and distribution of hammerhead shark pups on their natal grounds. Copeia. 1993(2): 495-502. Holland KN, Borski RJ. 1993. A palatability bioassay for determining ingestive stimuli in the marine shrimp Penaeus wannamei. Aquaculture. 109(2): 153-164. Holland KN, Brill RW, Chang RK, Sibert JR, Fournier DA. 1992. Physiological and behavioural thermoregulation in bigeye tuna (Thunnus obesus). Nature. 358: 410-412. Holland KN, Lowe CG, Peterson JD, Gill A. 1992. Tracking coastal sharks with small boats: hammerhead shark pups as a case study. Marine and Freshwater Research. 43(1): 61-66. Williams JD, Holland KN, Jameson DM, Bruening RC. 1992. Amino acid profiles and liposomes: Their role as chemosensory information carriers in the marine environment. Journal of Chemical Ecology. 18(11): 2107-2115. Holland KN, Brill RW, Chang RK. 1990. Horizontal and vertical movements of Pacific blue marlin captured and released using sportfishing gear. Fishery Bulletin. 88(2): 397-402. Holland K, Brill R, Ferguson S, Chang R, Yost R. 1985. A small vessel technique for tracking pelagic fish. Marine Fisheries Review. 47(4): 26-32.